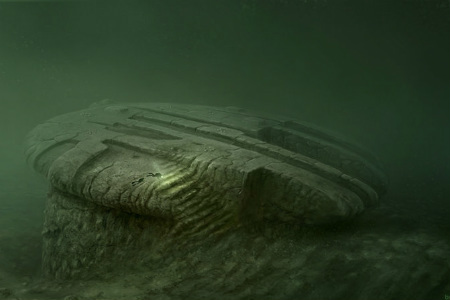 UFO on the Baltic Sea bottom: still no definitive answer. 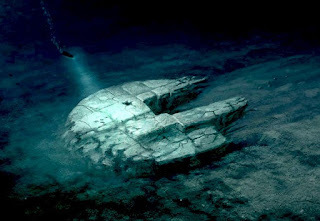 It all started June 19, 2011, when the crew of the Ocean Explorer, a team of Swedish scouts, lying to plumb the sea bottom aboard their ship, obtained from the sonar image rather curious: a huge disk resting on the bottom of Baltic Sea which, for its size and its morphology, made him think of something artificial. As a whole, the object resembles the shape of a mushroom. A big disk – a perfect circle of 180 meters in diameter and 4 meters thick – rests on top of a stone pillar which stands eight meters from the bottom of the sea and with a thickness of 60 meters. At the top is a spherical object measuring 4 meters in diameter and several burned areas that seem to fireplaces or chimneys. Also burned areas have a spherical shape. 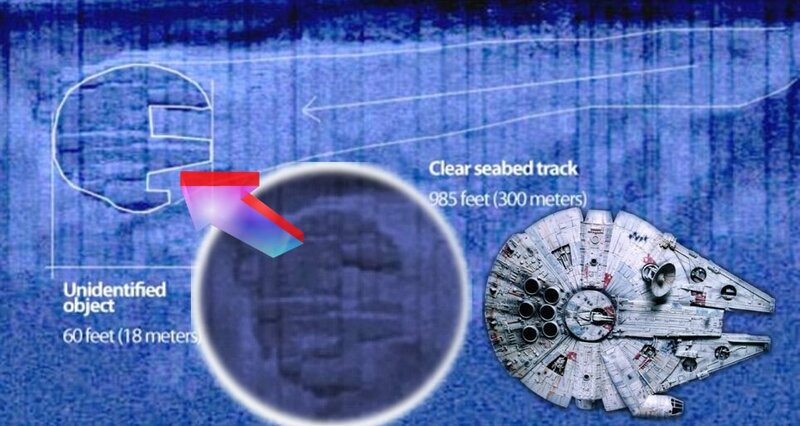 The mysterious object is located at a depth of 275 meters. The crew is back again on the object’s coordinates for further analysis and with the aid of radio-controlled mini-submarines, the explorers reached the dark depths of the Baltic Sea to film the mysterious discovery. Thanks to a special three-dimensional sonar, the X-team found what appear within the object of the perfectly smooth walls, corridors and stairs leading down. We are faced with an artificial object or a natural formation then redesigned and adapted by anyone. When the crew realized that he was in front of smooth and neat walls, they were frightened, and one of them called it like to live a science fiction movie. On the upper part of the object, they are visible of the formations that resemble the circles of stone and that they all have identified as the “chimney”, dark, almost as if they were burned, arranged in a circular position on the top of the dome. Even in this case, it is difficult to imagine that the circular arrangement of these stones is due to a natural process. Normally stones do not burn. I do not have an explanation for what they saw. Have dropped to the bottom to find the answers, but more we investigate, the more questions rise. The hotel has a small hole – 25 cm in diameter – close to the edge of the dome, which you do not know what it is, nor where it leads. But another strange phenomenon intrigued explorers. One of the main objectives of the mission was to film the object for visual analysis, but the camera mounted on the submersible robot, not upon reaching the object, it stopped working. Indeed, even on the surface, when they were above the object’s coordinates, all electrical equipment stopped working. They tried to move away from the coordinates of about 200 meters away to realize that their equipment functioned normally again. But as soon as fell within the radius of 200 meters, everything was extinguished. The fact that the stop electronic apparatus to operate, has led to the hypothesis that any object lying on the bottom emits a kind of EMI (electromagnetic pulse) able to knock out the electronic components in a wide range of action. The intense pulse is obtained by the Compton effect or photoelectric effect. In the first image that the team gathered in the summer of 2011, the sonar showed a long trail of almost one kilometer, almost as if it were skid marks or a furrow caused by the impact with the ground. Having more data available, the team is now able to say that the long trail seems to be a sort of “track” or “downhill path.” This feature of the site is like a ridge which rises gradually from the ocean floor, to reach a height of 8 meters. Another oddity of the mysterious object is one that has confirmed to be similar to a flight of stairs. The structure consists of 8 steps. From the pictures, it is missing a circular part of about one meter, as shown in the graphic reconstruction. Similar main fault, this object has behind him this sort of track or ridge. The divers were so taken from the exploration of the first anomaly, who have not had the time to investigate this second mystery. There is the real possibility that this second anomaly may help provide clues to the nature from the parent object.